Minimum wage in Connecticut is higher than the federal minimum, $8.70 an hour instead of $7.25. In fact, the federal minimum is so ridiculously low that not many people are earning it. Maybe as few as 1.5 million, according to one study. So, what happens if it goes up to $10.10 an hour here, or less likely, nationally. Some minimum wage workers will tell you that is still ridiculously low, $15 an hour is more like it. And, there are movements to help fast food workers bargain collectively for that kind of raise. Today on the show, an hour or so before President Obama's appearance in New Britain, we talk to actual minimum wage workers about what it's really like trying to survive on that kind of pay. Chris D’Alessandro is a voiceover talent with an MBA who works part-time in seasonal minimum wage jobs. President Barack Obama will be in Connecticut on Wednesday with four governors to push for a higher minimum wage of $10.10 an hour. The increase is controversial, but what might actually happen if it goes up? Increasing the minimum wage is a contested political issue, but it's also an economic question that can be studied. 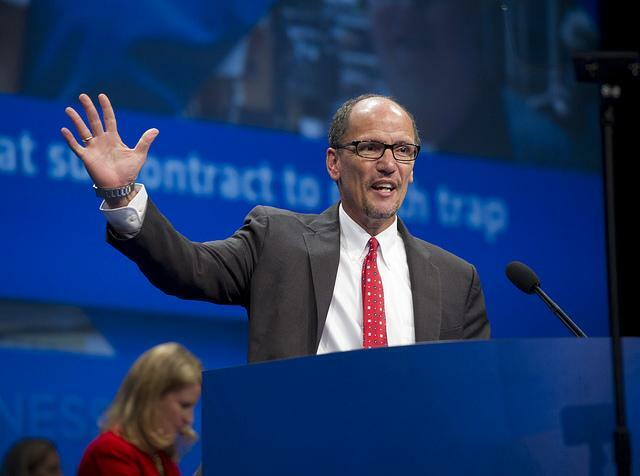 On Monday, United States Secretary of Labor Thomas Perez came to Connecticut to discuss minimum wage increases with local business leaders, workers, and politicians. During his trip, he called us to talk about how states like Connecticut are handling a higher minimum wage. What effect could this have on employment in the United States? 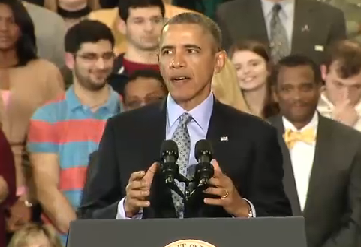 President Obama will visit Connecticut Wednesday to call for an increase in the minimum wage. 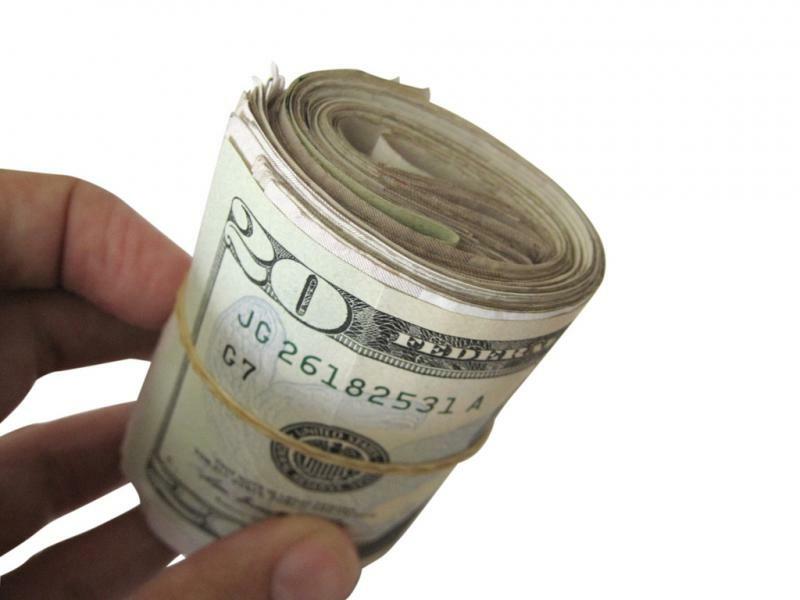 The president wants the raise the base pay rate by nearly three dollars an hour. 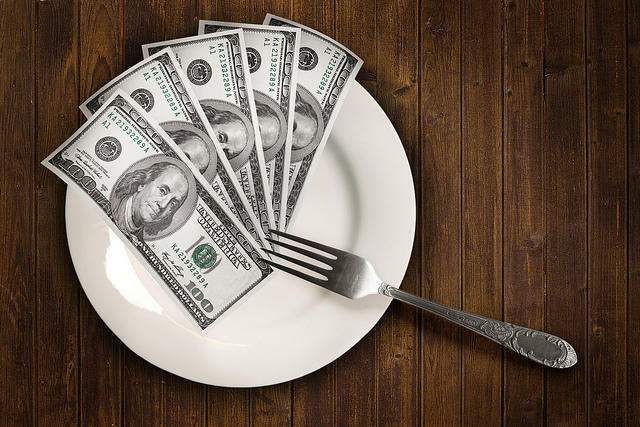 A new poll from Quinnipiac University shows that a majority of Connecticut residents want to see a raise in the minimum wage. The poll comes as the City of New London voted to raise the minimum wage for its own workers to $10.10 an hour, the governor's statewide target for 2017. 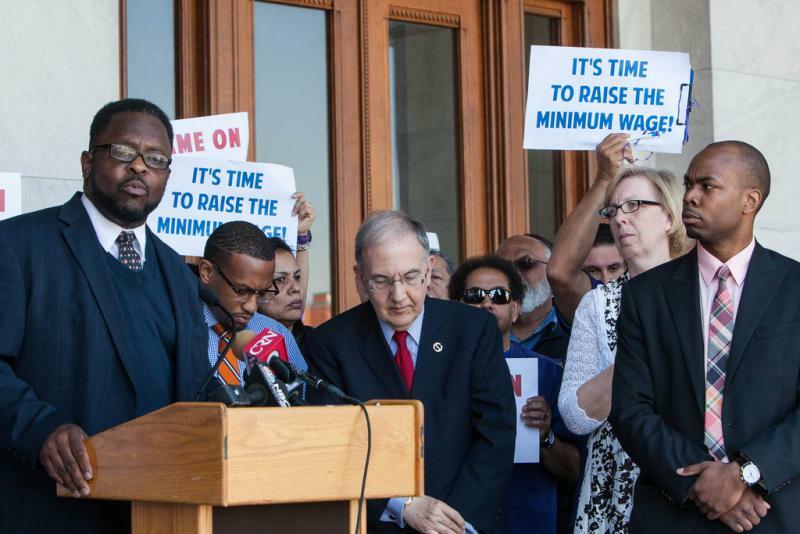 The Q Poll shows that 71 percent of Connecticut residents support raising the minimum wage, while 25 percent oppose the change. Governor Dannel Malloy locked horns with Louisiana Governor Bobby Jindal at a press conference after the National Governor's Association meeting. he press conference was supposed to outline the bipartisan progress made during the conference, held in Washington, D.C. 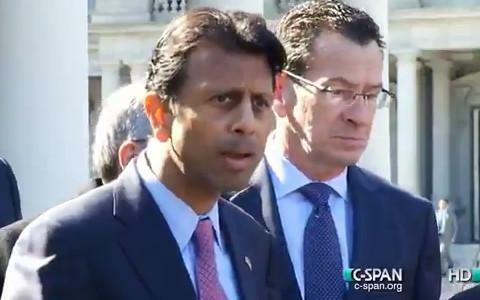 But in his remarks, Jindal criticized President Barack Obama's plans to raise the minimum wage. Before he traveled to New Britain for this afternoon’s event with President Obama, Governor Dannel Malloy faced what might be his most skeptical audience on the issue of minimum wage. 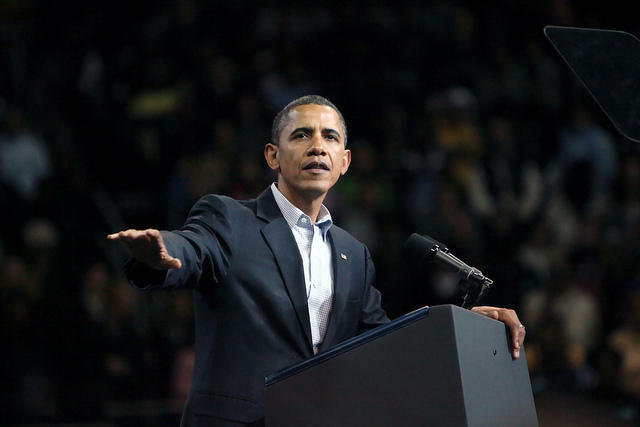 President Barack Obama visited Connecticut on Wednesday to urge an increase in the federal minimum wage. He arrived at Bradley International Airport via Air Force One, accompanied by a Connecticut delegation, and drove down I-91 with a motorcade. Below is a collection tweets from around the state as the president arrived, and then came to New Britain with great anticipation to deliver his speech.